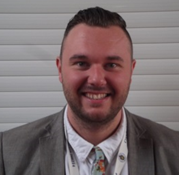 I have worked at Holy Trinity C of E Primary School since 2011, taking on various teaching, learning and leadership roles including, working across Key Stage Two and leading teaching and learning in PE, Computing, PSHE, Mathematics and RE. I studied at The University of Sunderland and am into my seventh year as a teacher. I have since completed the NPQML and NPQSL qualifications. I am currently Deputy Headteacher, with responsibility for Data, English and RE. I also continue to further my teaching as Year 6 teacher. My role is to develop CPD strategies, coaching and mentoring of colleagues at various stages in their careers and the development of further leaders. I lead on book scrutinies and lesson observations in order to ensure whole school and individual priorities are being addressed. I have vast experience in lesson observations for staff development purposes and meeting OFTSED expectations. As mathematics co-ordinator, I worked as part of the ‘Assessment without Levels’ working party; developing assessment across the town. I have since moderated mathematics attainment, town wide, in years 4 and 6. As RE co-ordinator, I worked collaboratively with Newcastle and Durham Diocese in order to create a new joint syllabus. This has been successfully implemented across all Church of England schools in both Diocese and I have since made changes to the assessment to suit the locality of our schools in Hartlepool. In our 2014 SIAMS inspection, as RE co-ordinator, our school achieved ‘Outstanding’ in all categories.